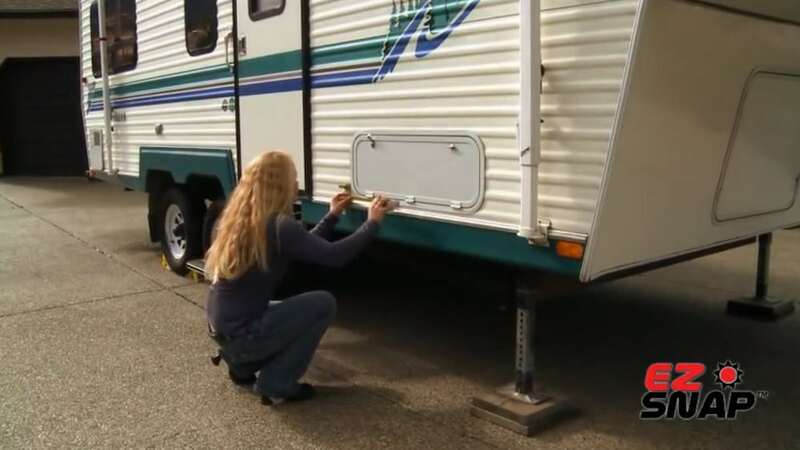 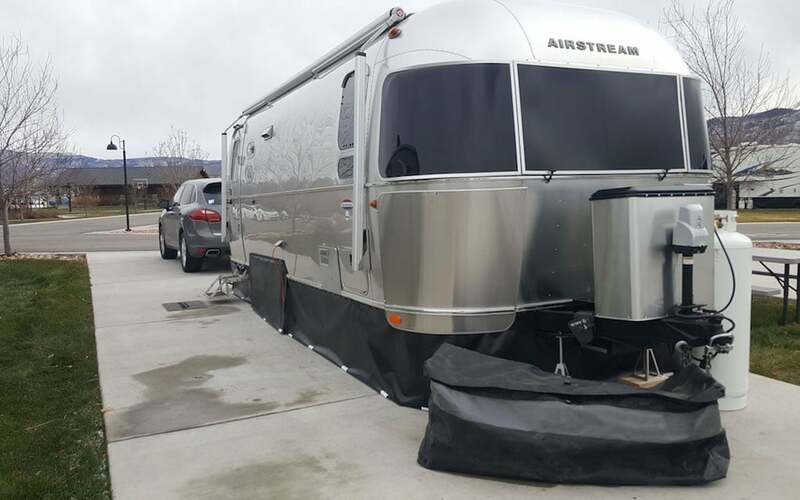 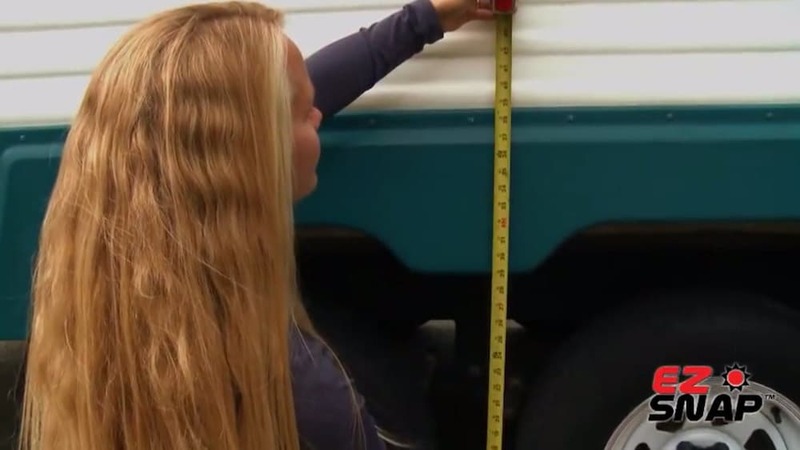 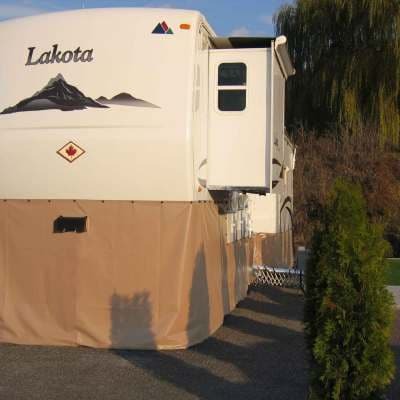 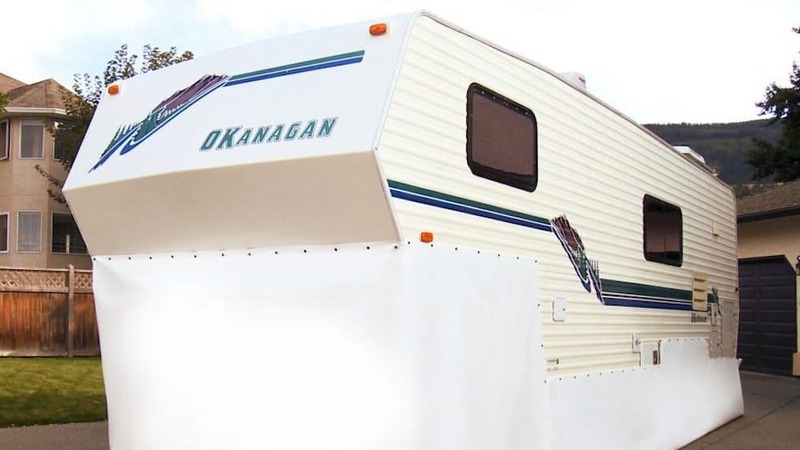 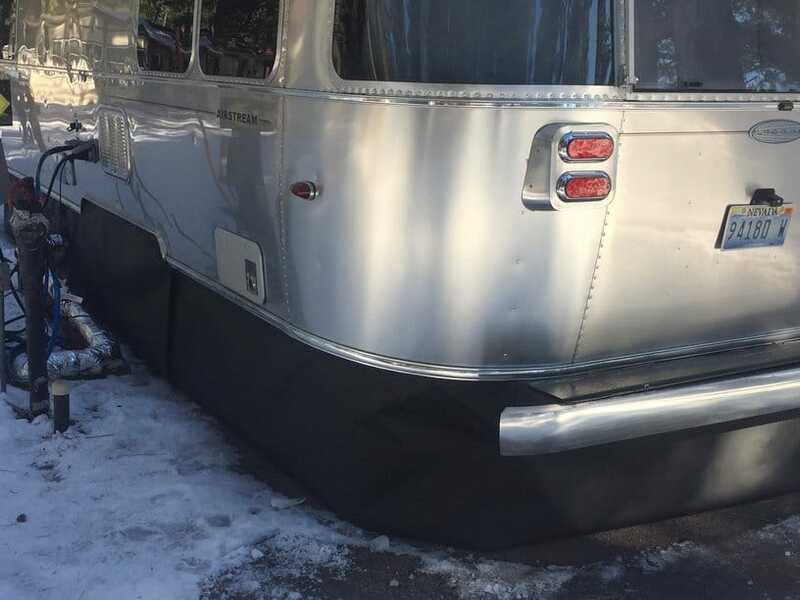 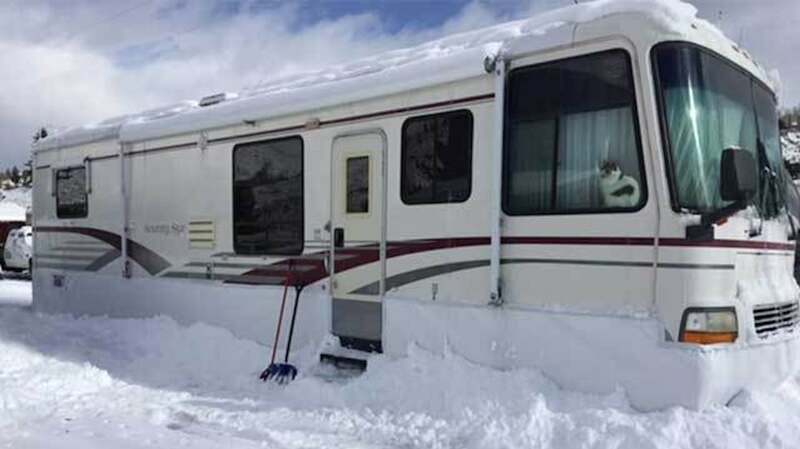 RV Skirting Photo Gallery with Fifth Wheels, Trailers & Motorhomes. 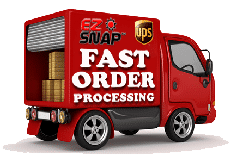 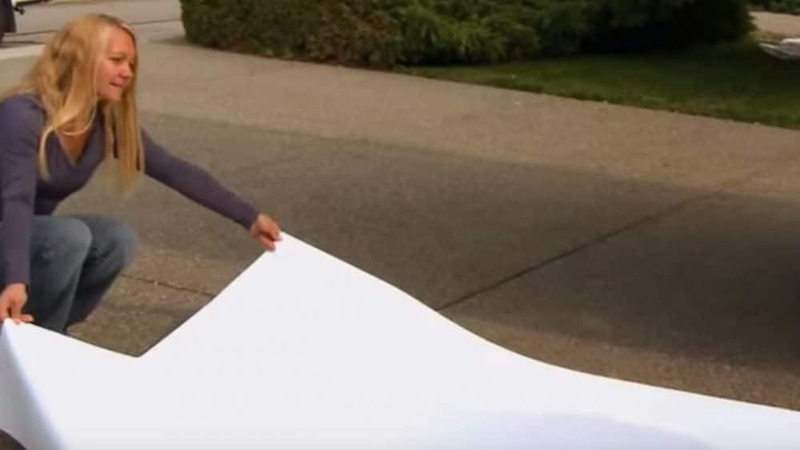 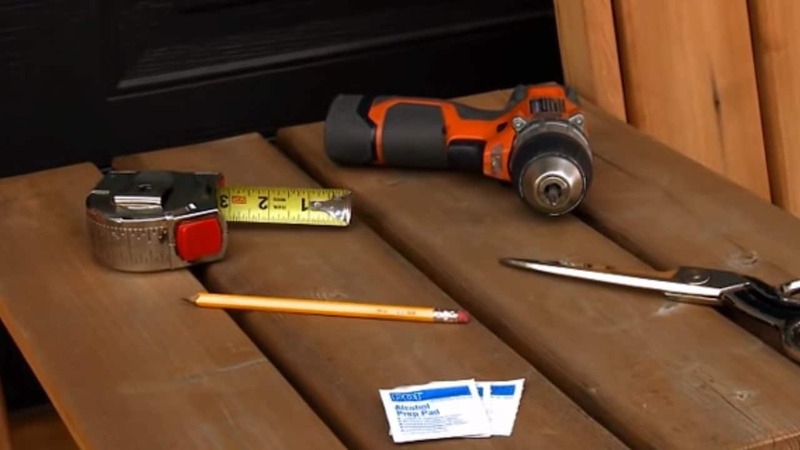 EZ Snap® vinyl skirting material is designed to handle extreme temperatures. 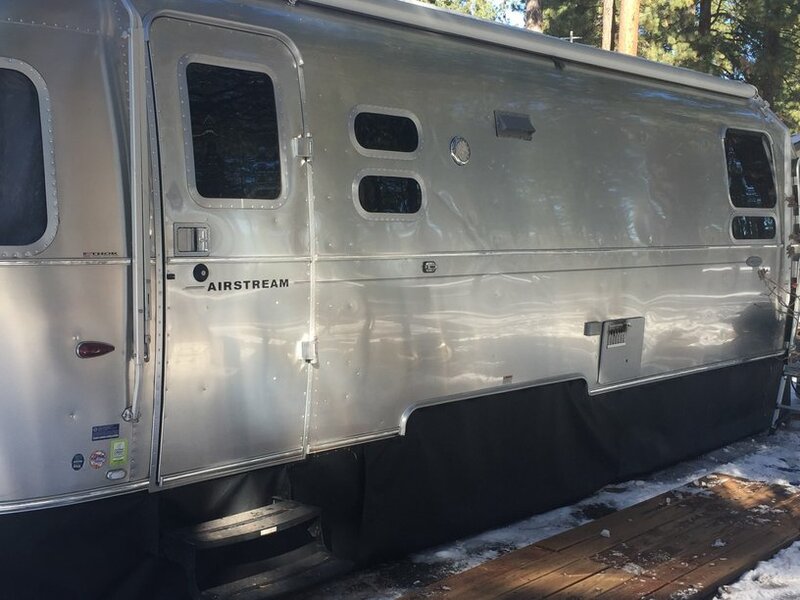 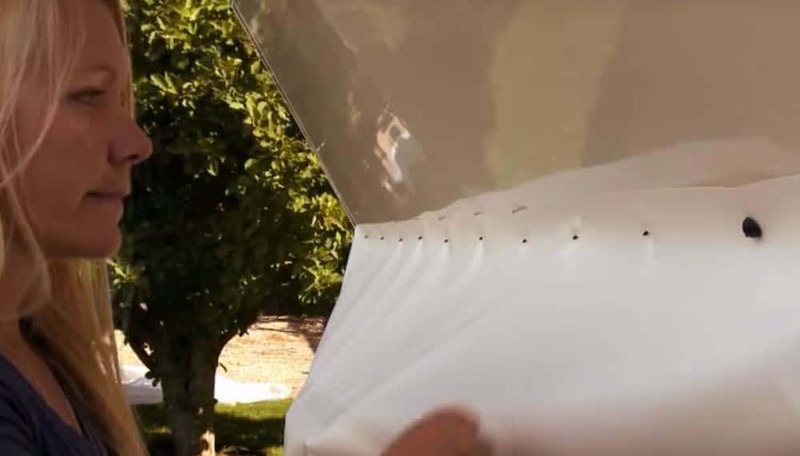 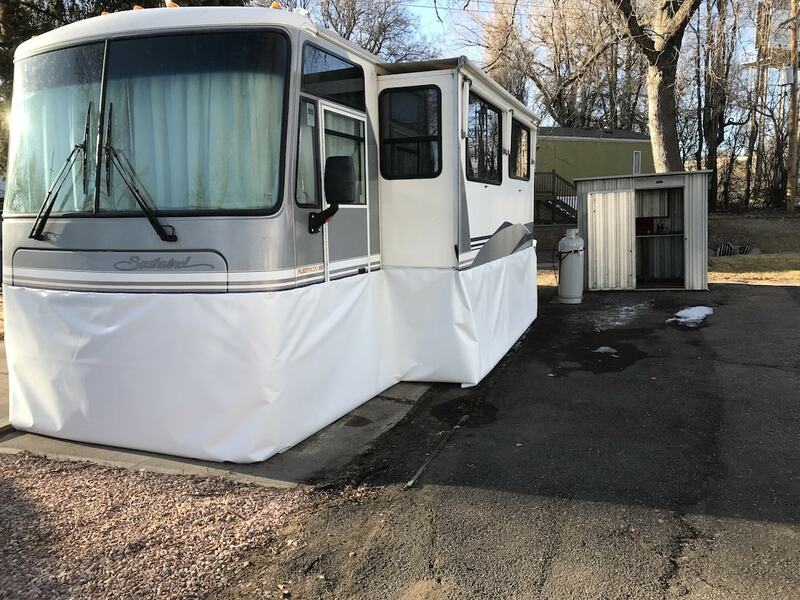 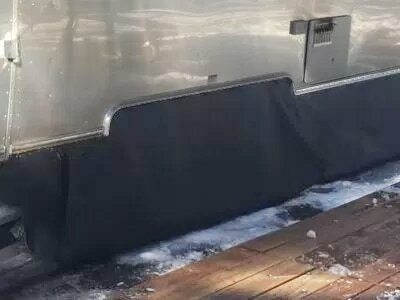 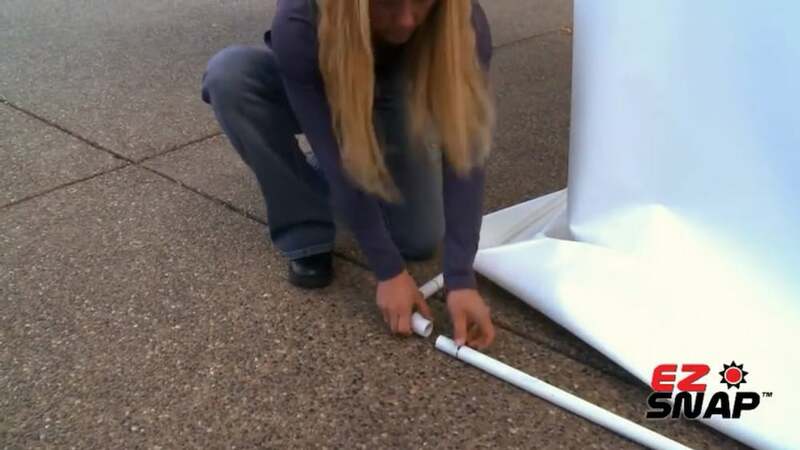 Diamond weave RV Skirting can withstand extreme summer heat in places like Arizona, as well the extreme cold of a Colorado winter. 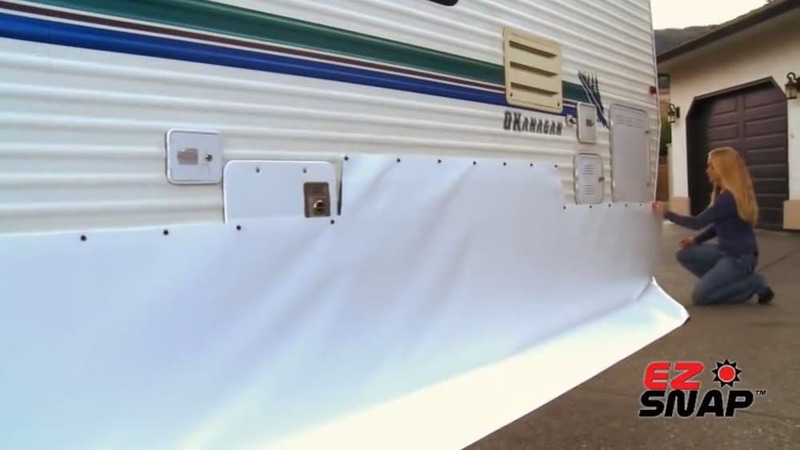 Have a look at the photo gallery, below, to see our proven skirting system in action.